Protect legal contracts, sensitive documents, and personal messages. Sending an email without secure encryption is similar to dropping a post card in the mail, It can be read by almost anyone during its journey from sender to receiver. Efforts should be taken to secure sensitive email using email encryption, by which messages sent should only be opened by the intended recipients. How can a Email Encryption help my Business? Secure email encryption protects both your business and your recipient’s sensitive information. Email encryption is not only important but it's often required for compliancy by government regulations for industries such as health care and financial services. No matter what industry your business is in, if you exchange confidential financial or personal data via email, and you must secure email with encryption to safeguard for your electronic communications. 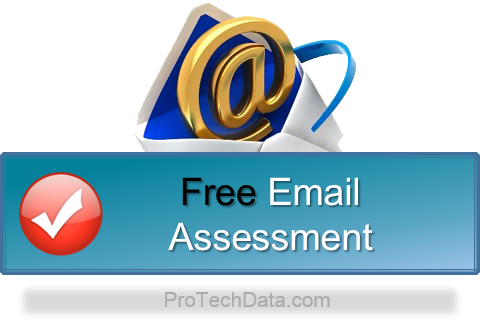 ProTech Data understands the vital role that email plays in business, maintaining important relationships with customers, partners, investors, and other participants. Choosing ProTech Data’s Email Encryption Services provide you with a cost-effective solution to ensure that outbound emails are sent in a secure and compliant manner.